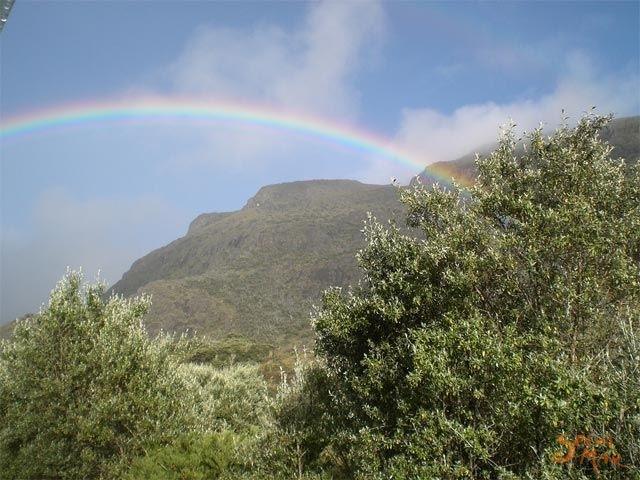 Chirripó National Park is located in the heart of the Talamanca Mountain Range, which was formed by a variety of geologic processes, including tectonic movement and volcanic activity. The formation began in the Superior Eocene epoch of the Tertiary period of the Cenozoic Era and concluded during the Inferior Meocene epoch, approximately 58 million years ago. More recently, the Talamanca Mountain Range also experienced glacial activity during the Pleistocene Epoch. 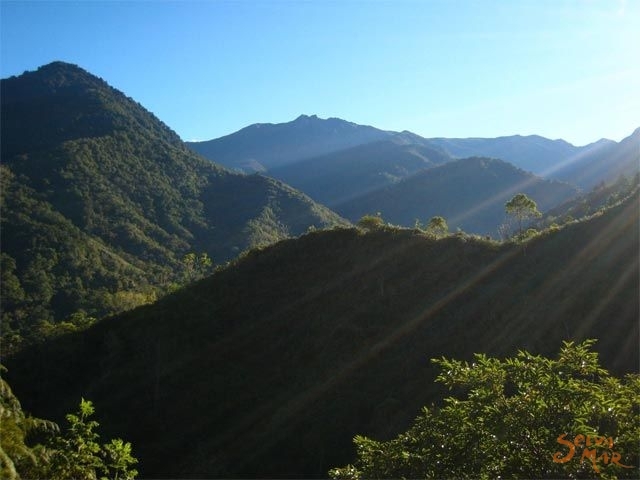 The highlands represent the most complete evolution of the Talamanca Mountain Range's orogenic and morphoclimatic characteristics. 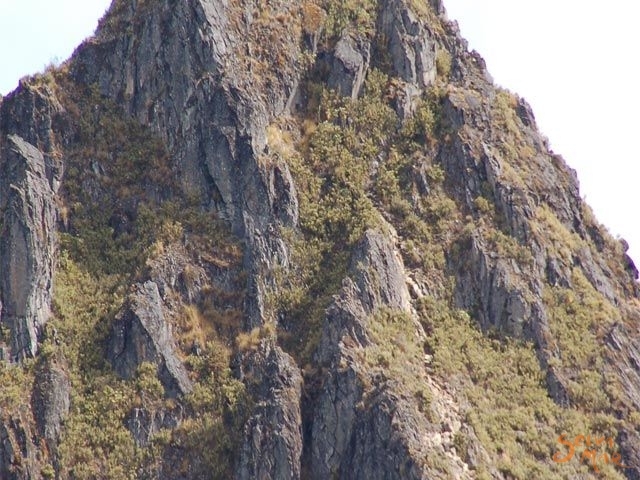 The relief forms and the litic materials here reveal the region's geologic history, while the presence of basaltic and andesitic rocks and tuffs provide evidence of prior volcanic activity. The last glaciers retreated from this area about 10,000 years ago, but evidence of their presence can be seen by the region's many lakes and u-shaped valleys, such as Moraines' Valley, the Lakes' Valley, and the Rabbits' Valley. Striations can be observed on several of the rock beds in these valleys. The human history of Chirripó National Park is still in its infancy. 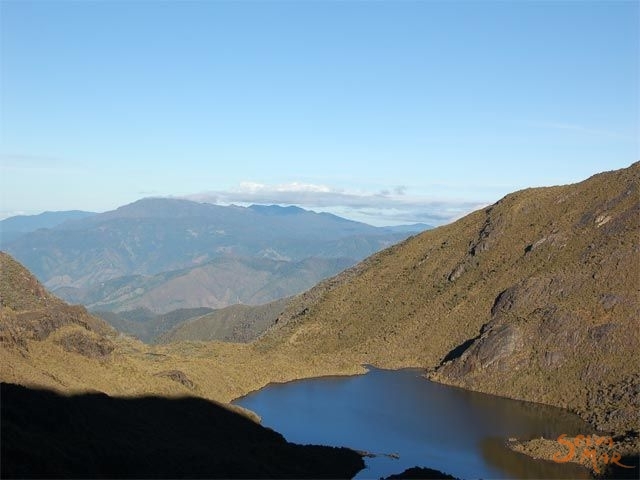 The highlands, specifically the paramo regions, were believed to be sacred by the indigenous people of the area, and for that reason they left many of the area's peaks unexplored. 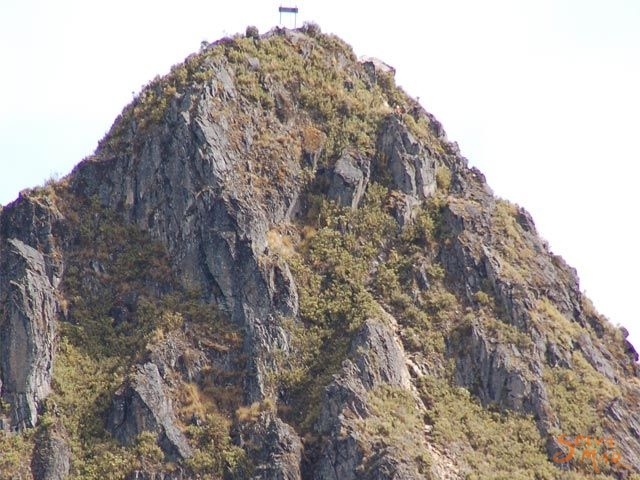 It is widely believed that man did not reach the summit of Cerro Chirripó Grande until 1904, when Agustín Blessing, a priest and missionary of the Talamanca Mountain Range, achieved the feat. Subsequent expeditions occurred in 1905, 1913, 1915, 1920, 1932, and 1942. 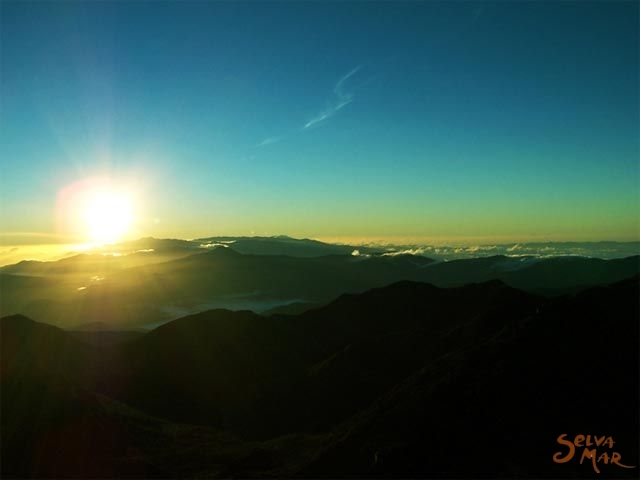 Since that time, many others have summitted Chirripó, the second highest peak in Central America. On August 19th, 1975, Chirripó National Park was officially established. The original territory of the park was expanded on March 31st, 1982. Chirripó National Park encompasses an area of 50,150 hectares (approximately 195 square miles) and is part of La Amistad International Park (Costa Rica-Panama). 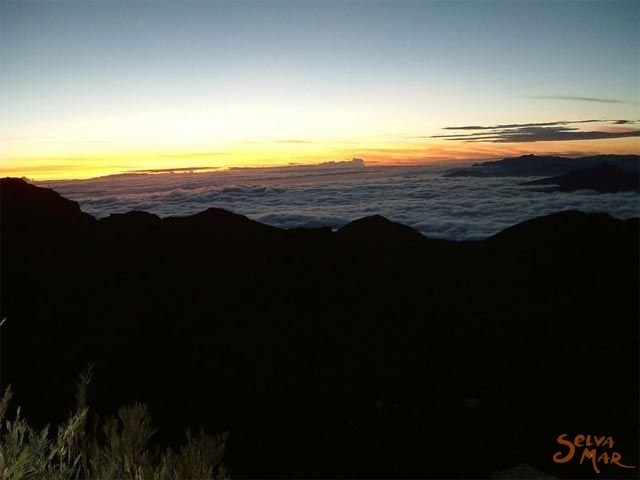 The park is located on the Talamanca Mountain Range, 20 Km Northeast from San Isidro de El General. * 40-60 million years ago in the Eocene by volcanic activity. The presence of basaltic and andesitic rocks and tuffs. * 18 million years ago - Tectonic folding followed by intense plutonic activity which caused a rapid elevation of the entire area. * 3-5 million years ago - The definitive shape of the range was attained during the post-organic phase. * 25,000-30,000 years ago. - Formation of glacial lakes by movement of ice which still remain intact. They are u-shaped valleys, such as we can see in Moraines´ Valley, the Lakes´ Valley, and the Rabbits´ Valley. * The climate of the Talamanca Mountain Range varies greatly and depends on altitude and slope incline. * The Caribbean Slope has an average rainfall of 4000 mm (157 inches) a year and is very humid year-round. * The Pacific Slope has rain between 3,000 and 4,000 mm a year. * Driest period: From mid-December to mid-April. * Temperature ranges in lower regions from 18°C (64° F) to 26° C (79° F). * Temperature in the highlands from 0° C (32° F) to 12° C (54° F). * The lowest temperature recorded in Chimpo was -9° C (14° F). * Night temperatures are very cold and often foggy. During the day temperature could change very brusque with incidence of clouds and drizzle. * Bitterly cold winds can exceed 80 kph with wind chill dropping temperatures significantly. 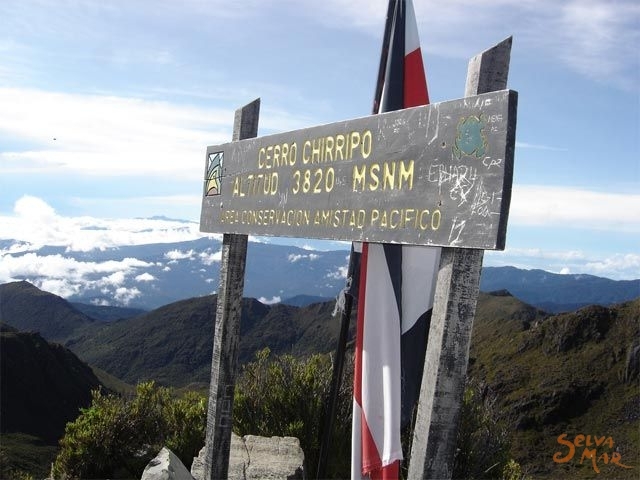 * Chirripo means "Land of the Eternal Waters´´. 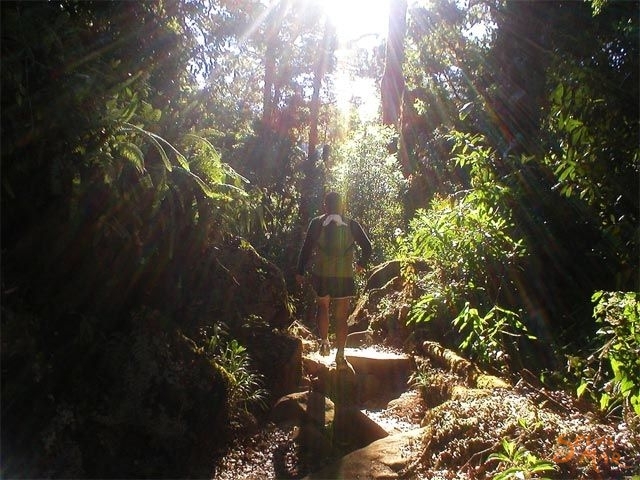 A Chirripo Trek in the rainy season shows numerous streams and brooks. 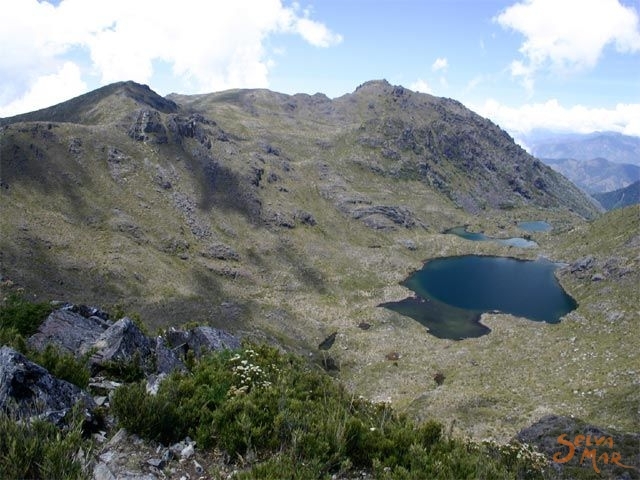 * On the top of Cerro Chirripo Grande the participant has a view of more than 30 lakes and lagoons. Some of them disappear completely in the dry season. * Many large rivers have their source in the valleys of the Talamanca Mountain Range such as Rio Chirripo Atlantico, Rio Telire, Rio Chirripo Pacifico and the Rio Ceibo. * An extraordinary number of habitats can be found here, as a result of the differences in altitude, soil type, climate and topography. 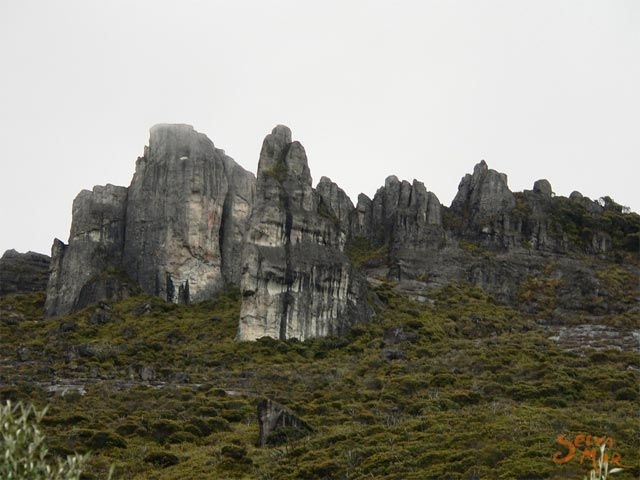 * Paramo - From 2,900m up with mixed shrubs, grasses and perennial herbaceous plants of Andean origin. * Swamps - Composed of herbaceous and shrub communities. * Madrono Forests - Predominant species of the upper parts of the park. * Cloud Forest - Large trees like the oak, sweet cedar, nargusta, elm, magnolia, lancewood, and mountain cypress. * Fern Groves - They are mainly made up of the 1-2 meters high Lomaria fern and of sphagnum moss. * 263 species of amphibians and reptiles, and about 400 bird species have been observed. Chimp6 National Park shelters the largest population of tapir in the country, puma jaguar, peccary, monkeys and many other species of mammals. * Among the birds should be mentioned the most spectacular: The resplendent quetzal. * In 1904 Agustin Blessing, a priest and missionary of Talamancais, reported as the 1st white human reaching the summit. * Following expeditions in 1905, 1913,1915, 1920, 1932 and 1942. 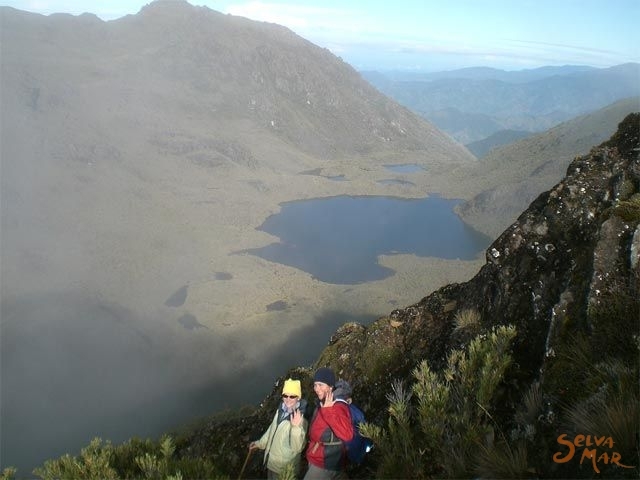 * From that time on many expeditions have achieved the goal: Get to the second highest peak in Central America: Mount Chirripó. * On August 19th, 1975, Chirripo National Park was officially established. The Park was declared a "Biosphere Reserve´´ by the Unesco in 1982, and of the "World Heritage Sites" in 1983.